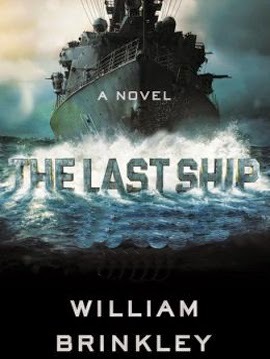 With the new television series The Last Ship by the cable network TNT moving full speed ahead, some people are surprised to discover that the original novel with the same name by William Brinkley had nothing to do with a global pandemic. It touched a different nerve fitting for the times. 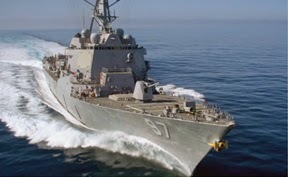 The Last Ship novel tells the story about the captain of the fictional USS Nathan James (DDG-80) after a brief but deadly nuclear exchange between the United States and what was then commonly known as the Soviet Union. The outcome of that exchange was even bleaker than the television series premise, which has infected as much as 80 percent of the human population. In the novel, it is a fair speculation to assume less than one percent survive. With no exceptions, the few survivors that the USS Nathan James discovers as it searches for any remnants of civilization are dead or dying — too sick and radiated to welcome aboard for fear of contamination. Such discoveries are only a sliver of what this novel is truly about. It takes an engrossing look at the hearts of humankind. The Last Ship is a striking portrait of surrender and survival. While the television series delivers a more hopeful prognosis for humankind as its USS Nathan James is tasked with finding a cure on open water, the captain and crew of original story face a near hopeless situation. Surviving a post-nuclear world is not enough. The real enemy resides within. After following orders to carry out a nuclear strike against the Soviet city of Orel and its nearby missile silos, the USS Nathan James receives instructions to break from general orders but does not receive new orders. The captain decides to reconnect with friendly forces in the North Sea and around the United Kingdom but encounters dense clouds of radioactive smoke instead. London is in ruins. Eventually the ship makes contact with a Soviet Navy ballistic missile submarine, the Pushkin, and the two captains strike a deal. In exchange for food, the Soviet captain promises to locate fuel for the USS Nathan James and then rendezvous somewhere in the Pacific. Both captains are hoping to find an uncontaminated island where they can survive and possibly start over. While the plan is sound, not everyone on board the USS Nathan James is satisfied. Some crew members would prefer to risk running out of fuel and simply head home, regardless of what might be waiting for them. Their resolve is strong enough to risk the security of the ship. Beyond a potential mutiny, the ever diminishing crew of the last ship faces nuclear fallout, psychological stress, and myriad individual motivations that do not necessarily reinforce the prospect of survival. At the same time, the crew must devise a plan to restart humanity against all odds. Even so, the bulk of the novel is not driven by action but rather the perspective of the captain who shares details on naval command, nuclear warfare, the collapse of civilization, and various ethical and moral challenges that the crew is forced to make. It is engrossing despite dragging at times as Brinkley leaves no stones unturned. A few graphs about author William Brinkley. The Last Ship was William Brinkley's last novel, which was published in 1988. He drew significantly from his experience as a naval officer serving in the South Pacific in World War II. Prior, he had worked as a reporter for The Daily Oklahoman and The Washington Post before enlisting in the Navy. He turned to The Washington Post after the war until being hired by Life magazine as a staff writer, correspondent, and assistant editor. He wrote and published his first book immediately after his tenure as an officer. He would go on to write seven more novels and one nonfiction book before committing suicide in 1993. The Last Ship is the second Brinkley novel to be adapted for the screen. In 1957, Metro-Goldwyn-Mayer produced his comedy Don't Go Near The Water as a film. 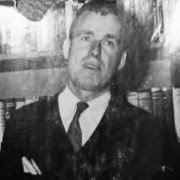 Brinkley was a graduate of the University of Oklahoma. The Last Ship By William Brinkley Detonates 7.4 On The Liquid Hip Richter Scale. As a novel, The Last Ship has considerable depth. It paints a complete picture of the captain as well as his perspective of every other member of crew he regularly engages. While Brinkley makes it clear that the captain's perspective cannot always be trusted, he strives to be objective and mostly honest. The Last Ship: A Novel by William Brinkley can be found on Amazon. You can also download The Last Ship from iBooks. While no audiobook seems to be available at this time, the television series based loosely on the novel is partly available on iTunes. Barnes & Noble also carries The Last Ship by William Brinkley. Several have noted that despite what seems like a thin plot, the book spans 624 pages and mostly works nonetheless.